Every Meetup group grows and evolves differently. Some of the most active and successful Meetup groups started with just a few people. Whether you have 3 members or 300 members, keeping your members active is the best way to ensure your Meetup’s success. Here are some suggestions to keep your members engaged. Ask them to RSVP. It sounds simple, but it's surprisingly effective: ask your members to take a moment and RSVP for your next Meetup. You can send an email to your members to let them know that there's a Meetup coming up on the Calendar, or message some of your members to ask that they RSVP. Or both. Let your members know that you expect and appreciate their RSVPs. Put RSVPs on a deadline. 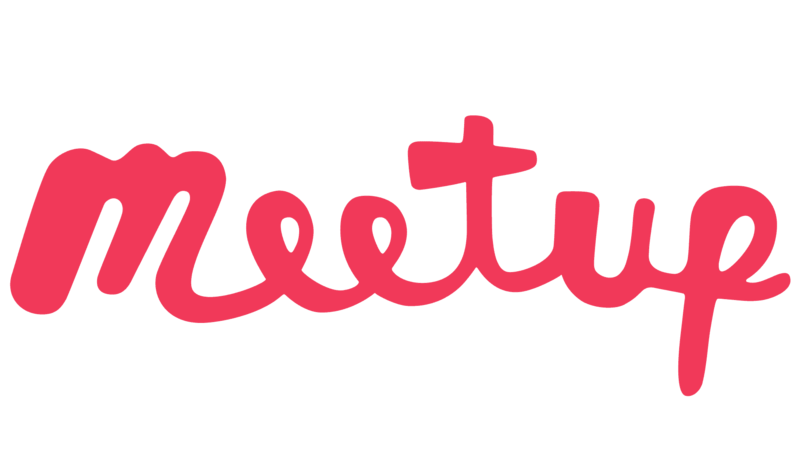 When you're scheduling your Meetup, you can set a date and time after which new 'Yes' RSVPs are not permitted. This one isn't quite as effective as limiting the number of open slots, but it can be used to encourage folks to RSVP now and not later. Require a small fee. Some organizers find that if members are required to pay membership dues or a small fee for the event, they will be more committed to attending Meetups. Even a single dollar can encourage a stronger commitment from members. - What will you be doing at your Meetup? - Will it be an activity? A discussion? A presentation? - Do members need to bring anything? - Who should come? Are newcomers welcome? - How long will the Meetup be? Diversify your Meetups. Are there members who consistently can't attend Meetups because the recurring dates conflict with their schedules? Take them into consideration. If your Meetup usually meets on weekday nights, try scheduling a Meetup for a weekend to see how it goes. Are your Meetups usually lectures? Try having one Meetup that’s just an opportunity for members to socialize around their shared interest! Mixing it up a bit helps keep everyone engaged. Schedule bring-a-friend-Meetups. Think of them as membership drives. Encourage your members to bring someone they know who may be interested. New members may feel more comfortable attending Meetups with someone that they're already familiar with, and fresh faces can add new energy to a Meetup group. Decide what you will do if members don't RSVP. You may decide that inactive members should be removed from your Group after x number of months. Or maybe it's best for your Group if folks who RSVP 'yes' and don't show up more than some set number of times are removed. Whatever you decide, make your policy clear to your members, and stick to it. Need more inspiration for your Meetup? Check out the Organizer Guide. Note: It is not currently possible to delete a message. An organized inbox is a happy inbox. As you become more active on Meetup, you’ll find yourself receiving more messages, and archiving old or finished messages can really help keep your inbox clean. Archiving a message moves it out of your inbox and into a separate folder. You can access archived messages in the Archive tab. If you resume a conversation that was previously archived, we’ll automatically move it back into your inbox so you don’t miss any replies. You can also manually unarchive a message at any time. From your Messages page, select the message you want to archive. Click on the three dots icon in the upper right-hand corner of the message. Tap on the message you want to archive. Tap the three dots icon in the upper right-hand corner. Tap the Archived messages icon in the upper right-hand corner. Tap the ... three dots icon in the upper right-hand corner. Tap the message you want to archive. Tap the "Archived messages" section. Note: It is not possible to mute private, one-on-one messages. If you want to take a break from a group message but don’t want to leave it entirely, muting will disable notifications for that conversation. You’ll still be able to access and reply to the conversation from your Messages; we just won’t alert you when there are updates. When you’re ready to re-enable notifications, you can un-mute a group message at any time. When the 140-character limit of a discussion isn’t enough, your Meetup group’s mailing list is the perfect way to reach your members with announcements, newsletters, and more. Not to mention, being able to respond directly via email is great for when your members need their Meetup fix but need to look productive at work. We assign every Meetup group a unique mailing list email address. If the organizer decides to enable the mailing list, members can find the address under More, then Mailing list. Any member subscribed to a mailing list can email the list using the email address tied to their Meetup account. We archive every email sent to the mailing list in the Mailing list page of the Meetup group. This allows members who aren’t subscribed to see what they’re missing, and for new members to catch up on group activity. Keep in mind, when you email a Meetup group mailing list, your email address is visible to the subscribers who receive it. If you prefer to keep your email address private, we recommend not replying to the mailing list, or creating a separate email address that you only use for your Meetup account. Note: Your email address will not be displayed in the mailing list archive. From your Meetup group’s home page, select Manage group and then Edit group settings. Under Mailing list, edit your mailing list address and settings. Confirm your updates with Save. From your Meetup group’s homepage, tap the ... Three dots icon in the upper right-hand corner. Tap Group settings (this will open your mobile web browser). Tap Other and scroll down to the "Mailing list" section. Make your desired changes to the mailing list address and settings. Tap Save to confirm your updates. Who doesn’t love a good conversation? Discussions make it easy for your members to stay engaged outside of scheduled Meetups. From newbies looking to introduce themselves, to longtime members sharing news and organizers seeking feedback, discussions benefit everyone. Of course, with great discussions come great responsibility, at least for organizers. As an organizer, it’s up to you and your leadership team to make sure the discussions that take place in your Meetup group align with the interests and guidelines you’ve set. For most, this includes deleting spam, bringing the peace to arguments or heated conversations, and removing members who can’t keep it civil. When anyone starts a discussion, we send a notification to the group’s organizer and leadership team. Our goal with this is not to barrage organizers with emails, but rather to make sure they can easily stay on top of interactions happening among their members. Only the primary organizer and co-organizers can delete discussions and comments from their Meetup group. Any member can also delete any of their own discussions or comments. While only organizers and co-organizers can delete content from their Meetup’s discussions, all group members can report comments and discussions. If you come across a post that seems to violate the group’s or Meetup’s guidelines, we encourage you to report it so our Community Integrity Team can review and take action if necessary. Using the toggle near the top of Discussions, organizers and co-organizers can decide whether members can start a new discussion, or limit members to reply only. This is a tool to help organizers have more control over the quality of the discussion. You can change this setting at any time by clicking the toggle. Members can always reply to existing discussion threads. When the toggle shows a check to the right, anyone, including members, can start a discussion. When the toggle shows a gray x to the left, only organizers and the group leadership team can start discussions, limiting members to reply only. How do I manage discussions? Successful Meetup groups all start with the same thing: engagement. We want organizers to be able to contact their members quickly and easily to keep them in the loop. The Contact Members tool helps you to communicate with your members without having to disclose your personal email address, as you would with your group’s mailing list. If your group’s mailing list is enabled, you can set the reply address to mailing list. You then have the option to send responses to all those members subscribed to your mailing list, or just directly to you. This will save you time for occasions when you need to reach your entire group by email. While the Contact Members tool supports basic formatting options like bold, italics, and underlining, you can customize your message further by sending it directly from your email client. Sending from your email client also allows you to include attachments, such as the menu of the restaurant hosting your Meetup. To send a customized message, email your message either to your Meetup group’s Announce address or mailing list address. While the Contact Members tool isn’t currently available via the Meetup app, you can still communicate with your members by sending a message to your Meetup group's Announce or mailing list address directly from your personal email. The biggest difference here is that unlike with Contact Members, these other methods will display your email address to your recipients. Note: When contacting your members via your Announce or Mailing List address on a mobile device, your email must be sent from the email address connected with your Meetup account. To ensure a consistent experience for members, messages sent by email include a subtle gray border and a Meetup logo at the top. While organizers do have the option of using HTML in their communications to members, for the best results on all devices, we recommend keeping it simple, and ideally text only. Images should be a maximum of 360 pixels wide. When you have big news for your members, you want to shout it from the rooftops. Take it from us, Meetup messages, group communication, and contact tools are going to be much more effective (and safer). As an organizer, you have several options for getting in touch with your members. You can message members individually, in small groups, or all at once. Let’s walk through the different methods so you can find the one that makes sense for you. The Contact Members tool allows you to send a message to all members who have chosen to receive organizer announcements. You can also use this to send messages to specific subsets of members (based on recent activity or RSVP status, for example). Note: The Contact Members tool will not display your email address when contacting members, unless your group mailing list is enabled. Need to contact attendees of an upcoming or past Meetup? Follow these steps to send a message to only the attendees of a specific Meetup. Every Meetup group has its own unique mailing list, to which members can subscribe or unsubscribe. When you send a message to the mailing list, Meetup will notify all members subscribed to the mailing list. You can send these emails from the Meetup platform or directly from your email client. Just make sure to use the email address associated with your Meetup account, so our system knows it’s you. Also keep in mind that when you send something to the mailing list, your email address will be displayed to the recipients. The same goes for any members who reply to the message. When a new member joins your group, they’ll receive mailing list updates by default. They can always choose to unsubscribe. Learn more about mailing lists and how to use them to keep your members up to date. You can reach out to members privately or in small groups using Meetup Messages. These messages are sent directly to the recipients’ Meetup inbox, and only the members included in the conversation are able to view them. When a new member joins your group, we’ll send them a welcome message, which you can set up to say whatever you like. This is often the first piece of communication they’ll see from you, so make it count. This article explains why it’s so important to customize your welcome message and how to do it. Group discussions are a quick and easy way to get conversations going that all your members can access. The 140-character limit on posts and comments keep things from getting too crazy, while still allowing everyone a place to speak their mind. Learn all the details you need to manage your group’s discussions. If you need to share an attachment with your members - an informative welcome pamphlet or a map of the venue for an upcoming Meetup - use your organizer announcement address or your mailing list address to send the attachment directly from your email client. Need more inspiration for your keeping in touch with your Meetup members? Check out The Organizer Guide.